The deadline for complying with the European Union’s General Data Protection Regulation (GDPR) is approaching fast. According to Bryant G. Tow, Managing Partner of CyberRisk Solutions LLC, the buzz in the cybersecurity industry is that auditors plan to come out “hot and heavy” to make examples out of companies that aren’t in GDPR compliance. As a value-added reseller (VAR) doing business in the United States, you may think GDPR doesn’t apply to you, but, according to Business Insider, it not only will impact EU member states, but also any business that collects EU citizens’ data. Tow says that includes vendors or vendor solutions with locations or employees in the EU. 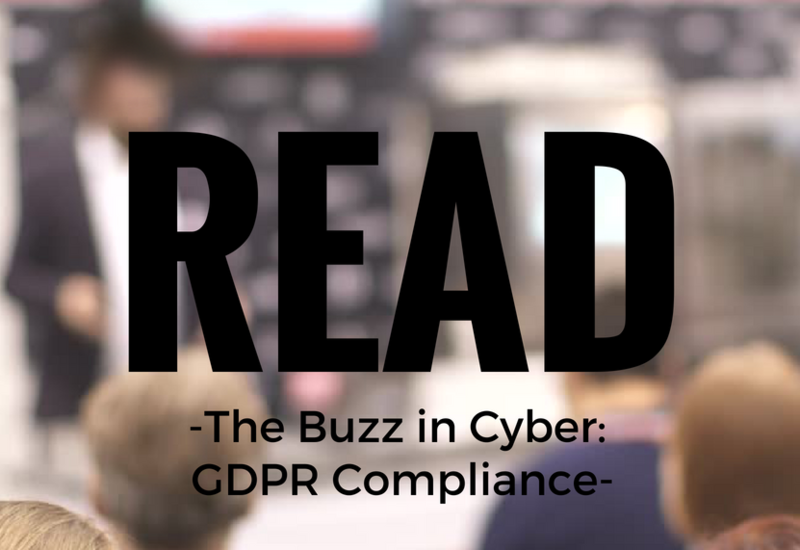 Continue reading The Buzz in Cyber: GDPR Compliance as Managing Partner of CyberRisk Solutions Bryant G. Tow expands on what GDPR Compliance means for American Business and how to be prepared.